How little it takes to breathe perfectly clean air! 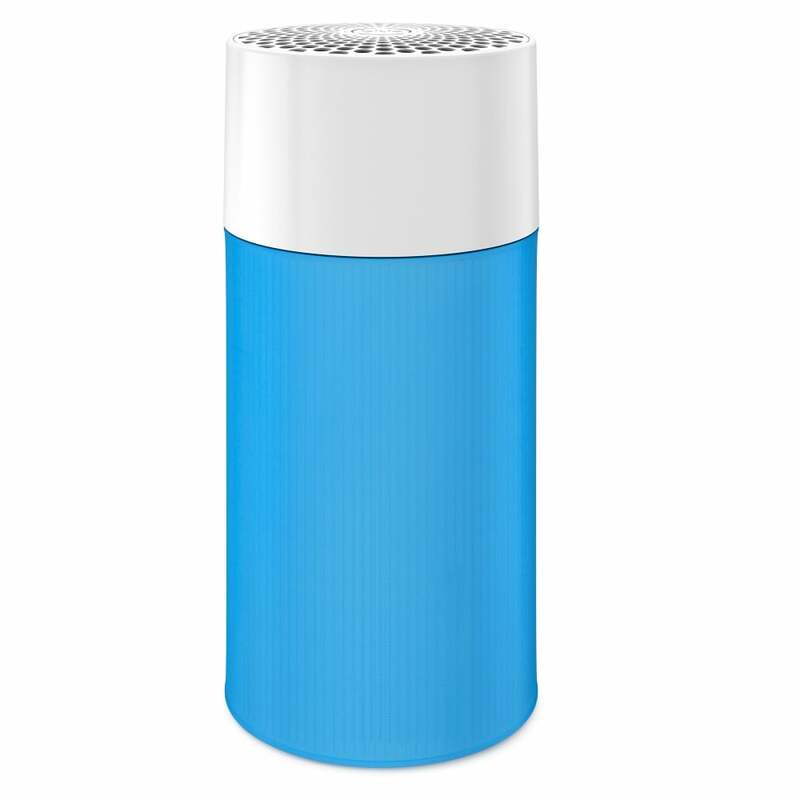 Say hello to the Blue family’s smallest and slimmest air purifier, the Blue Pure 411. It contains Blueair’s world-leading filter technology and is designed for rooms up to 15m²/161ft². Just place it wherever you want, plug it in and breathe perfectly clean air 24/7. Blue Pure 411 a slim air purifier cleans your indoor air completely five times per hour, and gives you great value from day one – and throughout your whole ownership. On normal operating speed, Blue Pure 411 uses only 1,5 watts, that’s a big win for you and for the environment. In fact, as an Energy Star-Certified air purifier, Blue Pure 411 uses only half the energy of a small LED light! Blue Pure 411 contains Blueair’s world-leading filter technology. It comes with a customisable fabric pre-filter and a Particle + Carbon Filter installed. This advanced combination filter catches virtually every airborne particle: pollen, dust, pet dander, mold spores, allergens, viruses and bacteria – and 99% of all PM2.5 particles. The active carbon even removes smoke, odors, gases and VOCs. The 411 is whisper silent, energy efficient and the one-button speed control makes it super easy to use. And when you finally have to replace the filter, you don’t have to be an engineer – all you need is one simple twist. Super easy one-button control makes it easy to turn your air purifier on and off – and control the operating speed. It also alerts you when it is time to replace the filter, every six months (operating time). Headquartered in Stockholm, Sweden, BlueAir is the leading provider of best-in-class air purification solutions for people who want to breathe clean air and live healthier lives. Sold in countries all over the world, their high-performance air purification solutions are energy-efficient and responsibly made. Through their unwavering commitment to excellence, research and constant innovation, Blueair is shaping the way the world breathes. Breathing clean air is a human right – making people feel more alert and alive – today and tomorrow.